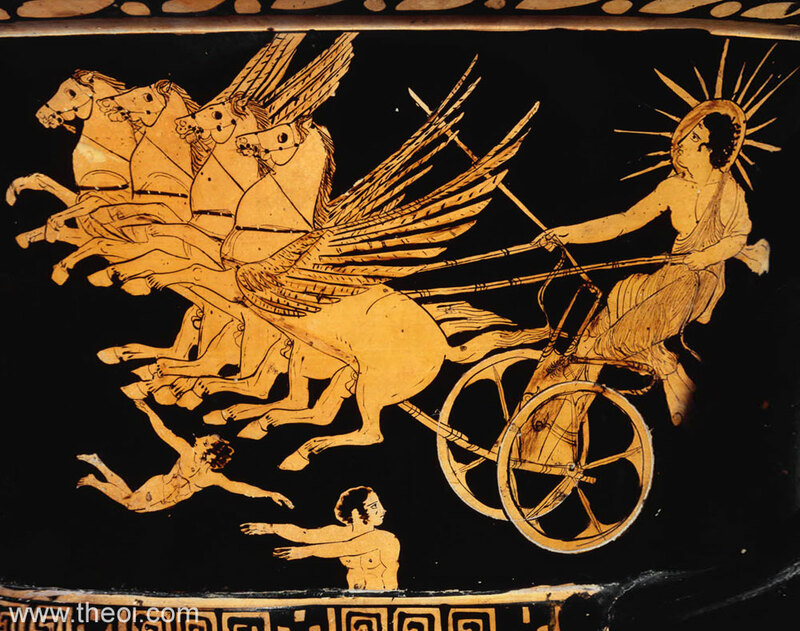 The sun-god Helius, or perhaps his son Phaethon, rises into the sky at dawn. 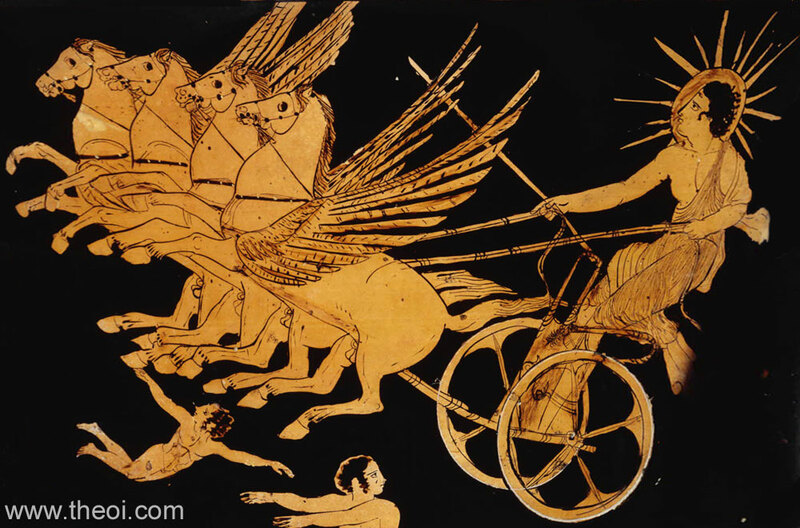 The god is crowned with the aureole of the sun and drives a four-horse chariot of winged horses. The Astra Planeta (gods of the wandering stars) dive into the sea before him. Selene (the Moon) and Eos (the Dawn) chasing the hunter Cephalus (not shown) complete the scene.